The importance of a find is in the information it can give about the site that is being excavated. Whilst an excavation is in progress, any finds uncovered are put straight into trays at the side of the trench. Each tray is labelled with the site identification information (eg WM11 = Warmington 2011) and a context number. Each time there is any change in the surface being excavated (such as a change in colour or texture) a different context number is allocated. 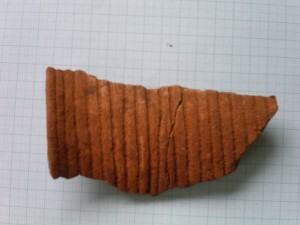 Each context has a separate tray and the finds from that context are placed in it. 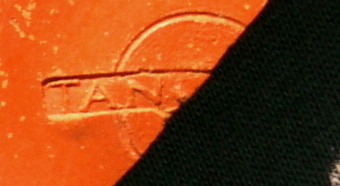 If more than one trench is opened, then different intervention numbers are also issued to identify which trench the finds were from. 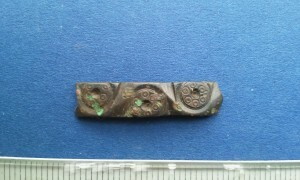 In general, finds are categorised as either bulk/general finds or small/special finds. 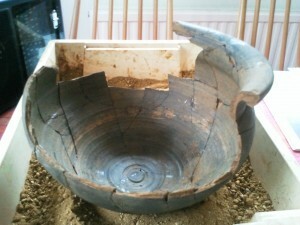 Bulk finds: These can include items such as stone, pottery, tile, miscellaneous metalwork etc. They may have originated from, for example, a demolished building, or may indicated the presence of specific occupation on the site such as metal working or pot making. These are bagged in bulk with the site information from the tray written both on the outside of the bag and on a label inside it. Small finds: These are finds that give a much higher level of information. This category includes, for example, coins, precious metals, items of personal adornment, objects that are used as tools or weapons and items that are rare within their period. They may give much more specific evidence than a bulk find. 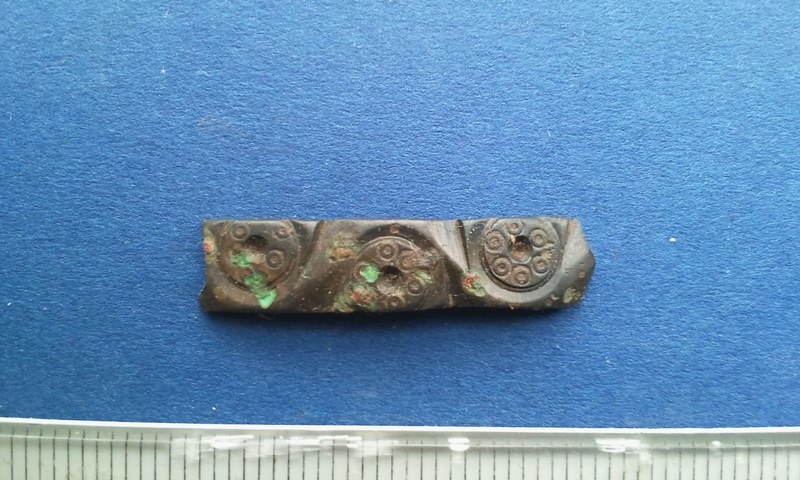 For example, a coin can provide dating evidence, as can a particular style of brooch or pot which can be related to a specific period. Each find is given a unique number, three dimensional co-ordinates of where it was found are plotted, and it is recorded in the small finds book, trench register and on its own separate bag. 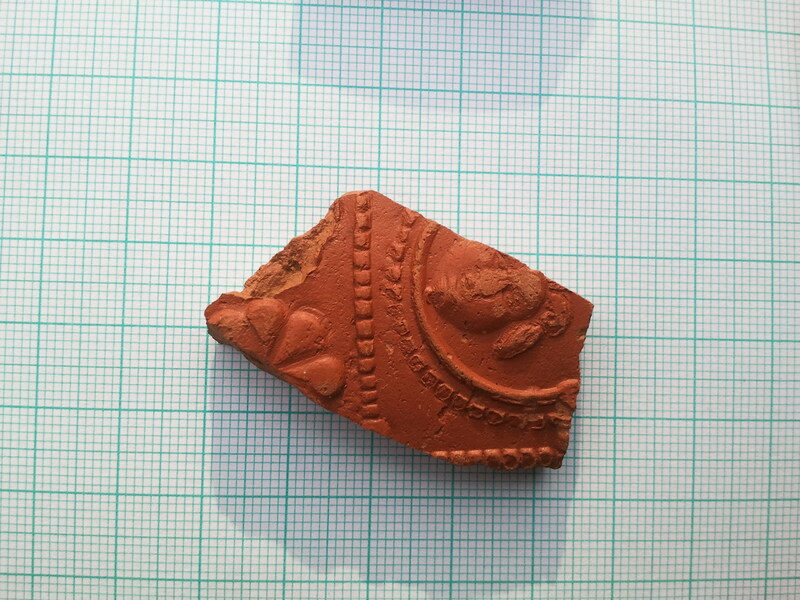 Post-excavation, finds are carefully washed or cleaned, identified and sorted, labelled, conserved and stored. Some may need to be passed to specialists for examination. 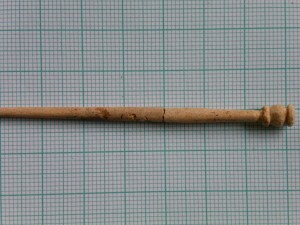 The information gathered from the examination of the finds, their contexts and quantities, is eventually combined with all other information from the site. Large numbers of pottery fragments, for example, could indicate dwellings or possibly even a pottery kiln. It is only when all the information from the site is collected together, studied and interpreted, that a final report can be written and published. 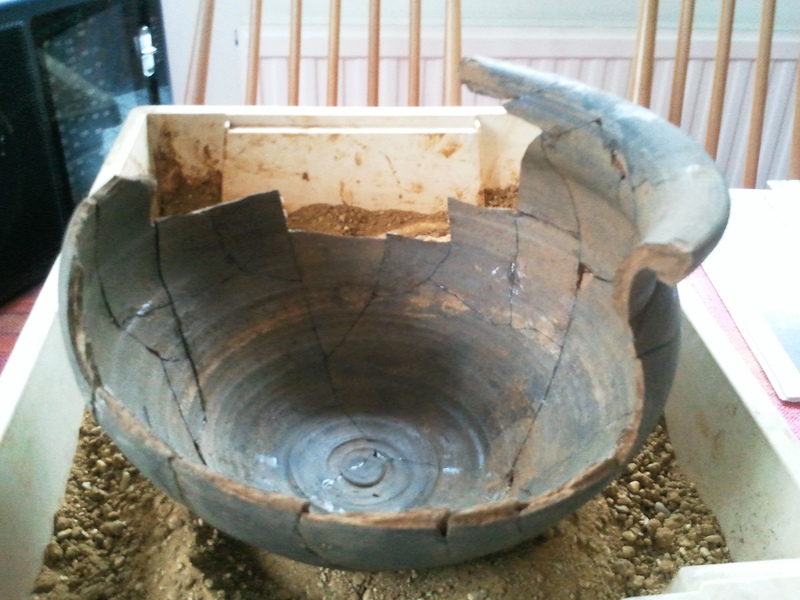 Partial reconstruction of Roman cooking pot found empty,upright, intact and sealed with stone roof tile in 2008 excavation. 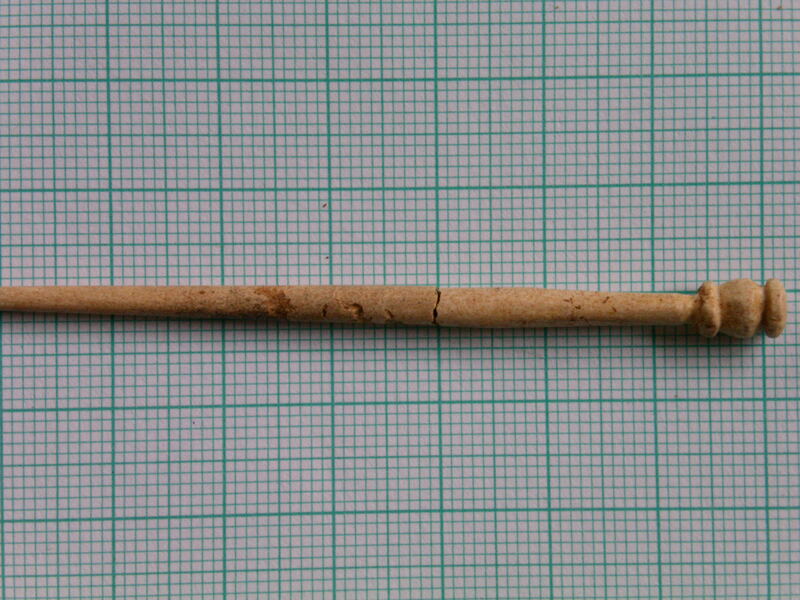 Note stain on the inside with a tide mark showing pot had been tilted. 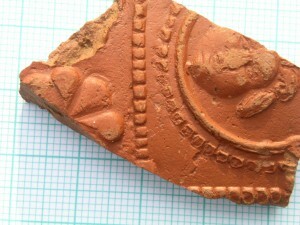 Three images of decorated (Roman) Samian ware. Among the decorations are a face mask and the potter’s name “TANC[)NUS], active about 150 AD in Central Gaul. 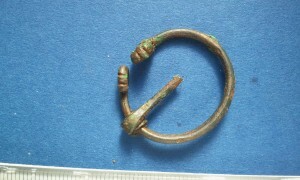 A simple Roman penannular brooch. 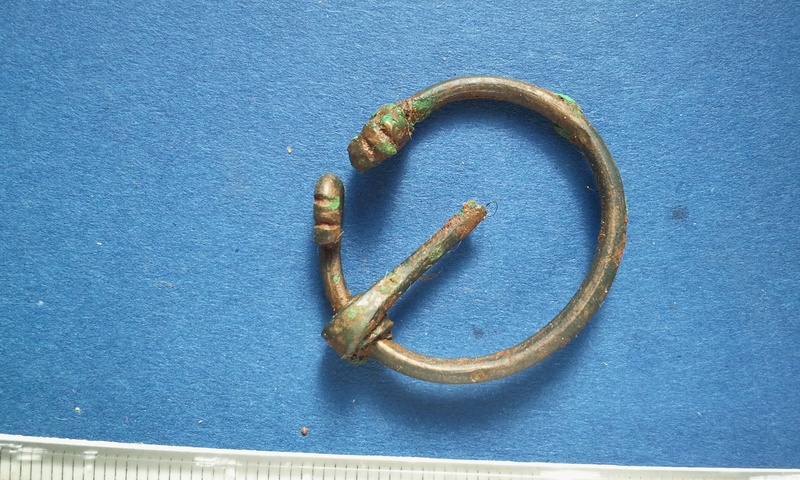 Similar brooches have been found at Bidford on Avon and at Lutterworth near Watling Street in Leicestershire.